The Liebert DSE Free Cooling System is the industry’s first pumped refrigerant economization system designed specifically for data centers. Ideal for companies seeking sustainable solutions, it provides up to 50% higher efficiency than traditional systems – and it uses no water. Its advanced controls automate economization to get the most free cooling in any environment. The Liebert DSE is a free cooling economization system with backup DX compressor, that achieves the industry’s highest efficiency operation – up to 50% more efficient than legacy technologies. The Liebert DSE system was recently approved by the State of California as a prescriptive option for economization to be used to comply with Title 24, Part 6. The system includes several components – a pumped refrigerant economizer, a micro-channel condenser and an indoor CRAC unit. The system operates in free cooling or partial free cooling mode, depending upon outdoor temperatures. When criteria for economization are met, the compressors turn off and the refrigerant pump turns on to move the refrigerant through the system to reject the heat of the data center, using only a fraction of the power of a compressor. 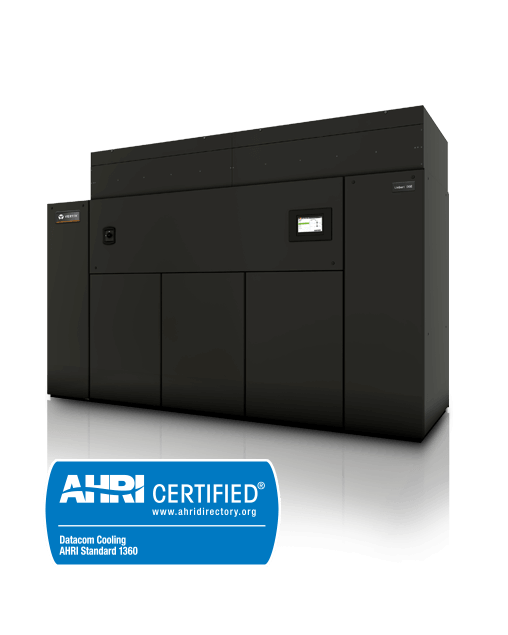 Automated economization, controlled by advanced Liebert iCOM controls, maximizes the number of free cooling hours by enabling economization whenever conditions warrant, even at night. It also eliminates the use of water. In contrast, a cooling system with a water economizer uses an average of 4 million gallons of water per year for a data center with an IT load of 1MW. Additionally, the Liebert DSE system protects against outside air contamination and reduces system wear and tear by eliminating air dampers and louvers. As a self-contained solution, Liebert DSE system is highly scalable. It also offers higher reliability than chilled water systems, because it does not use chillers, pumps, piping and other potential points of failure.